Whatever business you're in, staying top of mind with clients and employees is key. And what better time than Christmas to let them know of your gratitude and appreciation for a productive year of working together. If you’re looking for presents for them, give the gift of food. A KING SUE ham, for instance, is a great give-away that will be appreciated by everyone. Plus, you don’t need to spend for fancy wrapping because it comes with its own gift bag. The Hawaiian Ham Christmas Loaf is a clear favorite, so is the Pear-shaped Ham that is budget-friendly but rich in flavor. 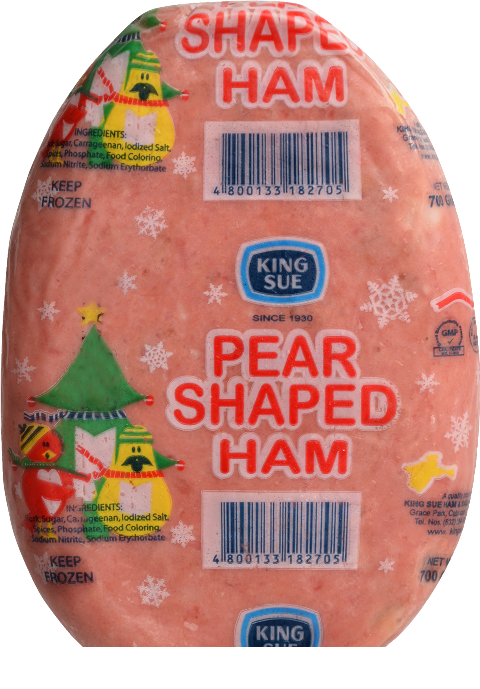 Spread the Season’s sweetness with King Sue Piña ham, crafted from of a solid piece of boneless ham leg with absolutely no extenders. Impress your business associates and partners with this rich and smoky ham that complements its sweet flavorful brine, topped with a specially-made glaze. 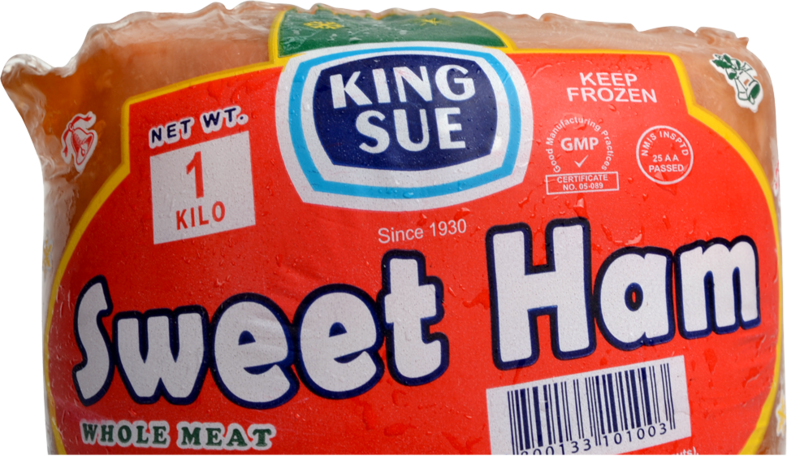 Extend more sweetness via the King Sue Sweet Ham, crafted from a solid piece of premium pork, the most kid-friendly of the whole selection because of its sweet-enough, good-enough taste. But of course, it’s loved by adults as well! This versatile ham could also be an ingredient in sandwiches, pizzas, pastas and other dishes. 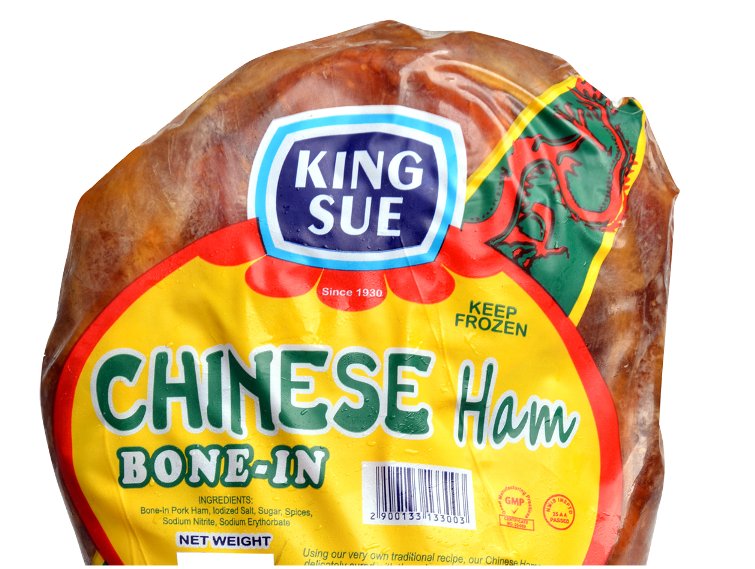 But perhaps nothing spells festive than King Sue’s Chinese Ham Bone-in made from premium quality pork leg. Imagine the time it takes to craft a single piece. Each leg is cured for 30 days, smoked with imported wood chips for four to seven days then cooked for one day in a special brine. The skin is then removed and the surface torched with a sugar coating to impart that glaze that gives it a sweet caramelized finish. So much love (without shortcuts) goes into each Chinese bone-in ham, as it is obvious in the depth of flavor that only time can give. That said, it is the ultimate gift for special and loyal clients and corporate allies. Should you wish to make your own Christmas basket, visit kingsue.com and check of other products such as bacons, sausages, sliced ham and cold cuts, chorizos, deli-burger, corned beef, pork and chicken tocino and sisig among others. No doubt about it, King Sue is a delicious greeting one could give and receive this special season.